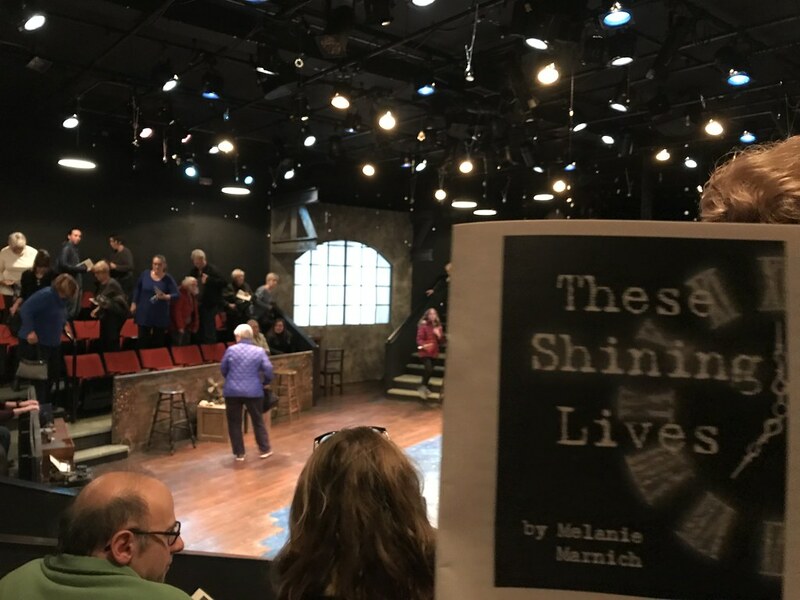 Last night we went to see These Shining Lives at Theatre in the Round. It was about four women who worked in a watch factory licking radium brushes until they fell ill and died. It was a good play, but there was more exposition than showing, although I'm not sure how that's avoidable. You can't exactly show the women with bones extracted from their jaws and pitted with radiation poisoning. You have to imagine that part. And I'm pretty sure whatever you imagine, it's not as bad as the reality. Go here (http://boredomtherapy.com/radium-girls/) and you can see a knee and chin affected by radium-based cancer. Specifically, the chin/jaw of the main character. They should have shown the photos at the play. Pretty damn horrific. I've always said I appreciate my job because although it might screw with the temporary livelihood of individuals, it never puts me in a position where I have to worry about their long term health and/or life. Here's a link to a Radium Girls reading, which is parallel and took place in Connecticut instead of Ottawa (Illinois).